As a chef who has worked across the globe, Mark McNamara has a long affinity for wine and its relationship with food. 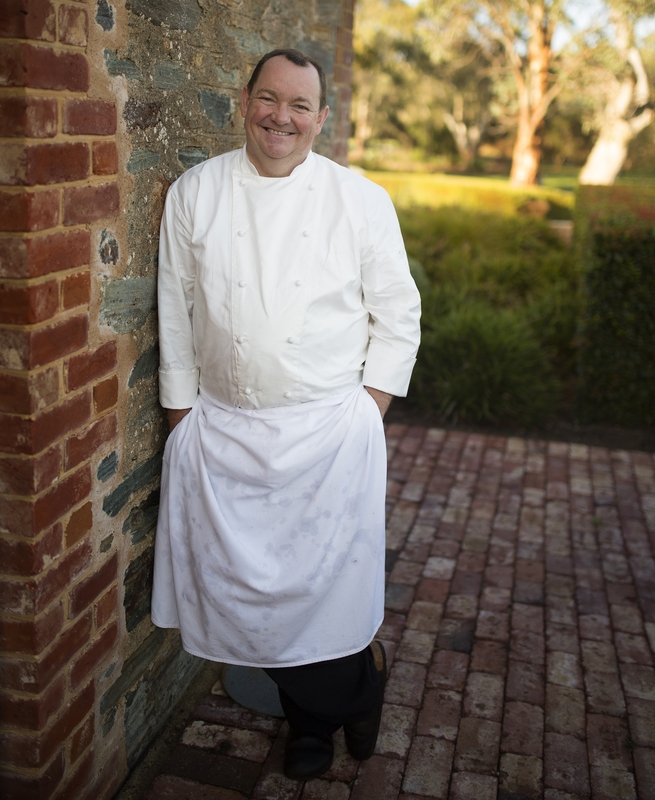 Take the time to enjoy his food at the acclaimed St Hugo Restaurant and it’s clear that his home of 27 years, Barossa, has claimed his heart. Mark’s greatest skill, however, lies in his ability to nurture this love of the land, its stories and produce in the next generation. A mentor and friend to many in South Australia’s food and wine scene, his infectious enthusiasm, patience and wit will see our region’s culinary scene flourish for years to come. Riesling from Eden Valley is to the Barossa what Champagne is to the French. When young it makes an amazing aperitif, its a natural partner to both rich and fresh foods, cutting richness with its bright acidity and minerality or popping with fresh zesty flavours and floral notes . As an older wine it can make a great companion to serious food shining with the complexity that bottle age provides yet still balanced with clean bright acidity. This lot provides the best of both worlds with fresh and aged wines from some of the best Riesling Producers from the Eden Valley. Just like Riesling these are amazing food friendly wines. By preference I drink more Grenache and Grenache based wines than any other variety. They lend themselves to company and there is a whole raft of stylistic differences that means there is a Grenache to suit every occasion. From the most serious fine diner, to drinks with friends or a shared long table for which the Barossa is famous. if I have anything to do with it Grenache always gets a run on my table. What better way to get to know Barossa Grenache than this lot featuring 60 bottles of various vintages from 20 of our best Grenache producers. Why: A silly question really……why would you not snap up this Barossa Classic? Genuinely one of my ultimate indulgences, its a style often attempted but rarely, if ever, made as well, and as seriously, with as much passion. For this reason and many more, for my money there is little wonder it is rated as “Outstanding” in the Langton’s classification. Add to this the fact that this magnum is one of only 360 made, triaged in 1999, and allowed to rest on lees for 17 years before disgorging in 2016, make this one very special bottle to bring out on a big occasion with friends. By comparison to some of his contemporaries Alex is a relative newcomer to the Valley starting Head wines in 2016, but he has made up for lost time. From the first Head wine I ever saw back in my Appellation days, I have been a fan of Alex’s wine and being a sucker for Grenache as I have already mentioned, his focus on Rhone varieties from single sites in the Barossa and Eden Valleys have made him one of my favourite producers. This lot featuring a six litre Imperial sourced from Ancestor vines in the relatively cooler Eden Valley ticks just about everything on my must drink bucket list and with 6 litres there would be plenty to share around but cellaring will also offer great rewards in a bottle this size! I have to declare a vested interest in this item. As a Baron of Barossa, I am very proud to be part of this fraternity and the way it supports Barossa wine, viticulture, gastronomy, heritage and the arts. Importantly with the completion of the Barossa Cellar moving ever closer I can’t pass up the opportunity to promote what will be an important milestone for the region. Conceived as the home for a regional wine museum, when completed It will house the Barossa Grape & Wine Association, help with the education and promotion of the Barossa brand and house a magnificent collection of fine wines generously donated by Barossa wineries.